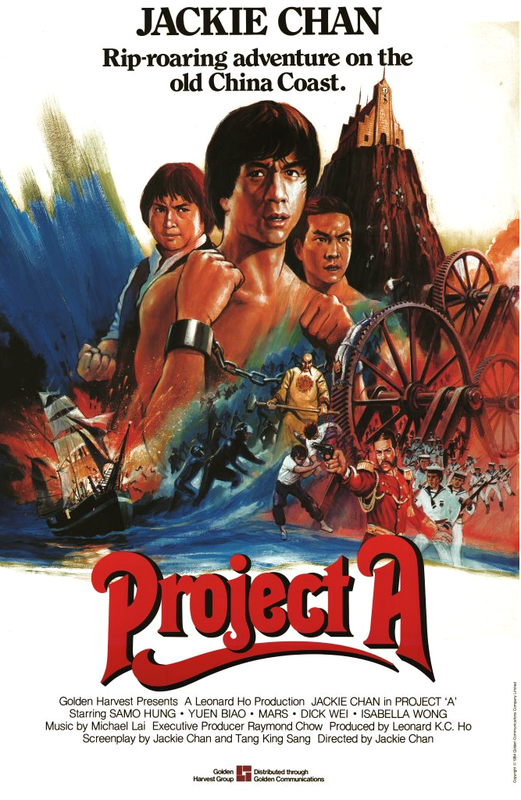 Project A is an action comedy from cinematic martial arts super genius Jackie Chan, and he directed it right at the height of his prowess with stunts. There's a section in the middle of it that is more impressive than just about anything outside of Chan's own Police Story (which he would make just two years later). But what's so great about Jackie Chan isn't just the scale of his stunts or the skill that goes into them, but the fact that he does them all in character. This is a lesson he takes from the silent masters Chaplin, Keaton and Lloyd, and Project A offers a huge nod to their influence (Chan finds himself caught in gear-like machinery and then hanging from a clock face). There's a thematic line running through Chan's directorial work about the power of the law and the necessity to work outside it. In Project A Chan starts out as a police officer, but he leaves in response to his frustrations with corruption and joins forces with a friendly thief. In his new position as an ethical vigilante, he uses his greater moral latitude to catch the villains in ways the police wouldn't be allowed. This puts a twist on the common formula of the cop who's too violent for the police and gets kicked off the force: Chan isn't too violent, he's too ethical. He can't help doing what's right even when it conflicts with legal mandate. These are certainly well worn tropes, but they hold the story together effectively. In terms of being more than just a stunt demo reel and telling a well constructed story, this still feels a bit like an amateur production. There are a few small things missing on a technical level (e.g. there are no establishing shots, which makes the scene transitions a bit jarring), there's a massive shift in tone at one point (foreshadowing the melodramatic darkness of Police Story 2), and the first and third acts aren't nearly as narratively compelling or technically impressive as the second (the climax comes too early, and the actual ending offers bigger explosions instead of bigger story or stunts). But while this may only be the beginning, it is undeniably a part of the Golden Age of Jackie Chan.